The 1301 Pennsylvania Avenue building applies high-performance design to an office environment located in prime Washington, D.C., treating the work place as an extension of the city, through a façade that combines elegance, performance and comfort. 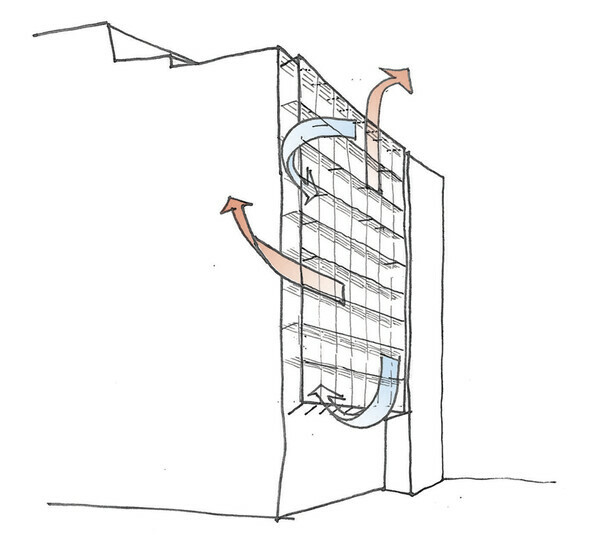 To ensure high-performance and outstanding comfort, Atelier Ten’s involvement in the building design began during the competition phase. The proposal for the new 13-story glass and stainless-steel office building followed European models of high-performance façade design, combining external shading screens, a double skin façade, and operable windows to optimize energy efficiency, occupant comfort and control. 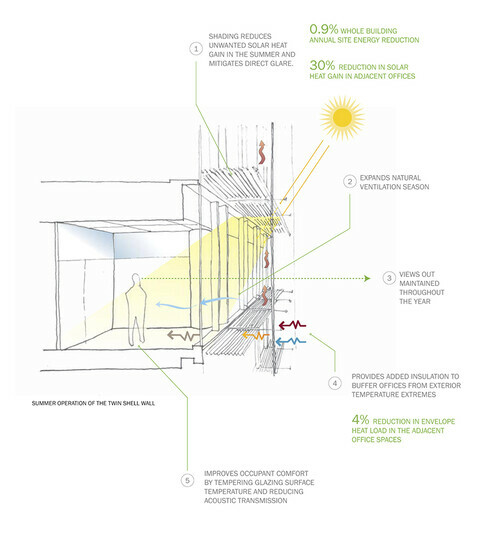 To support the design, Atelier Ten developed extensive façade shading analysis, daylight design analysis, building energy performance analysis, and photovoltaic system sizing for a rooftop array.